By CHECK HIM OUT SI 98 (1999). Stakes winner of 9 races in 18 starts, $418,528, Ed Burke Fut. [G1], Golden State Derby [G1]. Sire of 132 ROM, 9 stakes winners, $2,590,731, including SAINT SHACKLETON SI 109 (2 wins, $237,847, Ruidoso Fut. [G1]), CHECKNBAC SI 98 (7 wins, $216,410, Governor’s Cup Fut. [RG1]), CHECK CATHY SI 101 (4 wins, $155,560, Sam Houston Fut. [G1]),LOOKHEROVERSI 101 ($143,344),CHECKERSI 109. Authorized Call Girl SI 96 (f. by Raise A Secret). 7 wins to 4, $46,821. $353,521, Oklahoma Challenge [G3], 2nd Ruidoso Futurity [G1], AQHA Derby Challenge [G1], Miss Polly Classic S. [G3], 3rd Los Alamitos Million Futurity [G1], West Texas Derby [G2]. Darlings Injun SI 99. 3 wins to 4, 2008, $70,366, 2nd Canterbury Derby [G3], finalist AQHA Chlg. [G1]. Eyesadarling SI 104. 5 wins to 5, 2008, $44,282, finalist [G3]. SetNTR. Easy To Dazzle SI 104. 5 wins to 5, $24,392. Runaways Dasher SI 92 (g. by Runaway Winner). 4 wins to 5, $29,073. Runnin Winner SI 91 (g. by Runaway Winner). Placed to 5, $11,633, finalist in the Heritage Place Futurity [G1]. TELLER QUEEN SI 99 (f. by Easy Jet). 8 wins to 4, $637,918, Golden State Futurity [G1], Kindergarten Fut. [G1], etc. Dam of The Fling King SI 99 ($144,249 [G1]), Rare King SI 113 ($79,549); granddam of Stolaway King SI 98 (to 5, 2008, $81,088), Teller Yep SI 92. Teller Cash SI 92 (f. by Dash For Cash). Stakes placed winner, above. Jet Along Jamie SI 90 (f. by Easy Jet). 2 wins, $5,126. Dam of TELLER CARTEL SI 108 (Champion 2-Year-Old Colt, $1,212,471, All American Futurity [G1]), TellEmAgain SI 98 (to 4, 2008, $36,961). 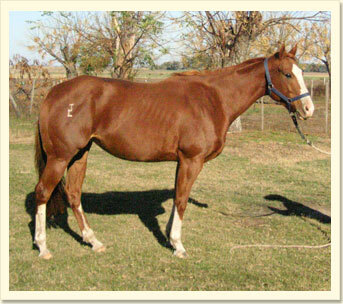 Last BRED April 1, 2008, and believed in foal to VOLCOM.